Join us to celebrate the courage of cancer survivors who battled against this deadly disease and came out as real winners. 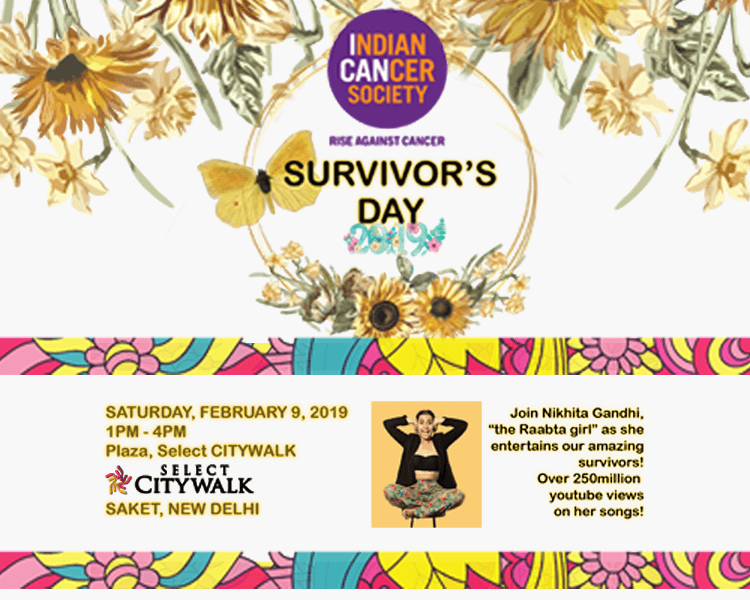 Select CITYWALK in association with Indian Cancer Society presents ‘Survivor’s Day’ on Saturday, February 9, 2019, from 1 pm to 4 pm at The Plaza where Nikhita Gandhi ”The Raabta Girl” will entertain our survivors. So become a part of this initiative to pledge against cancer together!